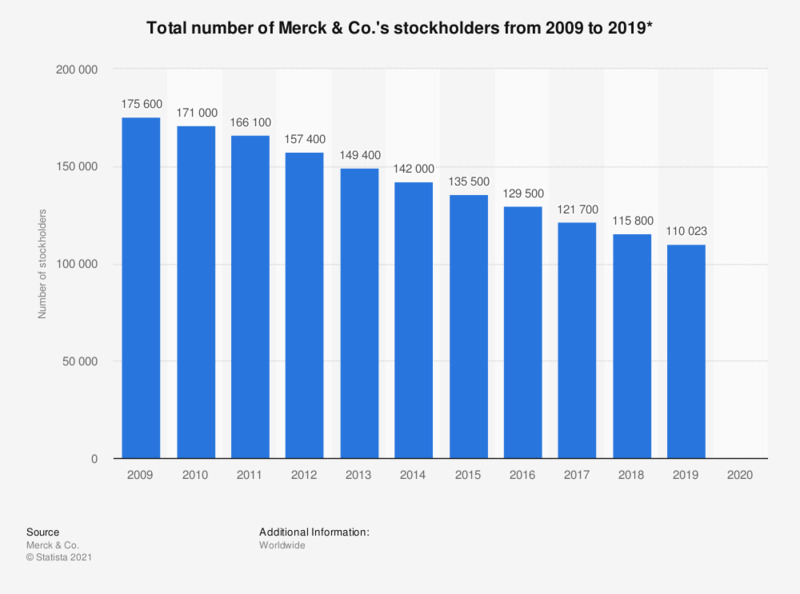 This statistic shows the total number of stockholders of record at year-end for the pharmaceutical company Merck and Co. from 2009 to 2018. Merck & Co. is one of the largest pharmaceutical companies in the world. The company is headquartered in Whitehouse Station, New Jersey. In 2009, the total number of stockholders at year-end amounted to some 175,600 holders. * Stockholders of record at year-end.